Catching Up...We'll See How Long This Lasts! I'm feeling much better about my lack of time management skills. I got my Potluck piece completed, and my beta chapter for my friend is complete and now posted, I'll work on her next one tonight for a while. My SV piece is actually progressing well, and I'm keeping the focus and request of the person I'm writing it for firmly in mind this time. The second revision is much better all around, so I'm not regretting this at all. I'll have to check other things pending and see what else I feel like doing. It's Monday, and I finally have all of my calendars. I'm quite fond of them, and hang two in my computer room and three in my guest bathroom. 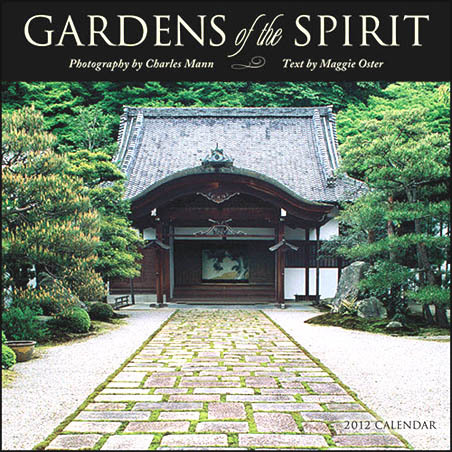 I always have "Gardens of the Spirit" which focuses on scenes from a variety of Japanese gardens - lovely and calming. 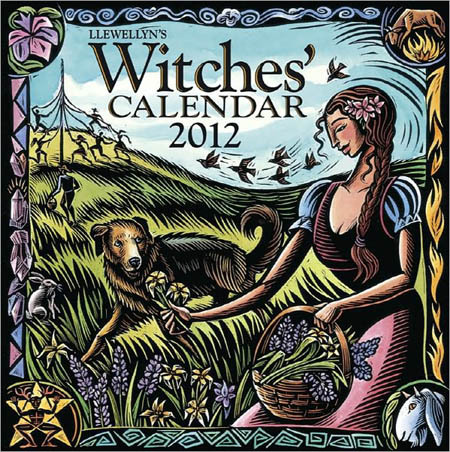 I also have a Witchcraft calendar because the artwork is magnificent - I just love that calendar. The other three are up for grabs. I ended up with a calendar of images by Brian Froud, renowned for his artwork of fairies and gnomes. The other two are a calendar of environmental art - really fun stuff, and one of sayings by Eckart Tolle with some fantastic environmental pics. My DH has a Celtic Mandela calendar in the bedroom and an art calendar by our entryway - this year he requested Louis Rojo's art. I have a Cierulo Dragon calendar at work. I know...it's a total overdose of calendars - LOL. The Witches' calendar is quite beautiful! I love it. This particular artist uses scratch board and then hand colors the images she creates. I love looking at each month and I save the calendars for reference after the year is up. I also like learning the esoteric facts that are sometimes presented in the day-to-day notations. It's a fun calendar. I love Japanese gardens - I would want to make one here but the whole scheme would be too expensive. I love them too. One of the best days of my life was spent wandering around the Japanese Garden in Portland, Oregon. It was absolutely sublime. I can never have too many calenders! I usually have about 10 scattered around for the pretty pictures! I think calendars have some of the most gorgeous pics ever!